GoldSpring Consulting highlights WINiT as their sixth takeaway from the GBTA Convention, 2015. Many of the educational sessions centered around mobile technology and its use by the business traveler. From virtual payment to mobile hotel check-in, the balance between convenience and security was discussed and debated among veteran suppliers and buyers. Services that allow real time communication with travelers were a popular topic, as well as the potential widespread industry impact of beacon technology: placing devices in an area (such as an airport or hotel) to send location-based information and updates to mobile devices. The sharing economy got a lot of air time at this year’s convention, with discussion centered around services like Uber, Airbnb and Zipcar, among others. Most corporates, it appears, are not ready to formally endorse these services however. In a recent poll we conducted of 73 travel buyers, only one had formally approved Uber and Airbnb as within policy. One respondent had formally banned Uber and Airbnb as out of policy, and 71 had not taken action. Almost all cited company liability concerns as their primary reason for staying silent. Best guess: corporates will slowly embrace these services due to traveler demand, but maintaining pressure on these suppliers to address safety, security and liability must continue. Virtual card was another trending subject that seemed to be everywhere at this year’s convention, both in educational sessions dedicated to the topic and many discussions and demonstrations on the expo floor. About 10% of the sessions’ audience use virtual cards today while 50% are looking at it. The most common use is for hotels to eliminate direct billing to improve transparency and reconciliation. The next most commonly cited use is for non-employee travel, including recruits and contractors, which reduces exposure to fraud (due to single use number and reduction of manual processing). Challenges still remain with acceptance rates hovering around 50%, continued use of fax which, although antiquated and not secure, is PCI compliant, and agency fees for integration. As in, much younger. Concur President, Elena Donio, said she has sought input from fifth graders visiting the office in her introduction of keynote speaker Steve Wozniak. As Millennial business travelers come of age and the next generation (a.k.a. Generation Z or the Homeland Generation) begins to enter the space in the next 15-20 years, look for increased traveler demand for expanded technological offerings and rapid acceptance of industry innovations. How real are concerns about collusion among the major American airlines? This topic was addressed in several sessions, with much of the discussion stemming from the ongoing Justice Department investigation into whether some of America’s biggest airlines have colluded to keep airfares high. Whether current airfares are a natural result of mergers in recent years or something more will be explored in the probe and is a topic many in the travel industry continue to watch with interest. WINiT (Women in Travel)’s Second Annual Summit, titled “Awareness + Inclusion + Action = Impact,” took place on Saturday, July 25. The summit included an excellent lineup of top quality speakers – both highly successful women and men supporting women’s advancement in the industry. From the WINiT leadership to mentees who have already benefitted from this organization, each had interesting and inspirational stories to tell. The event drew an impressive and diverse crowd of those new to the industry as well as seasoned veterans. There was plenty of time to network with both attendees and the speakers as well as time to learn more about WINiT during the day’s events. If you haven’t already, consider joining WINiT and getting involved in this great network. 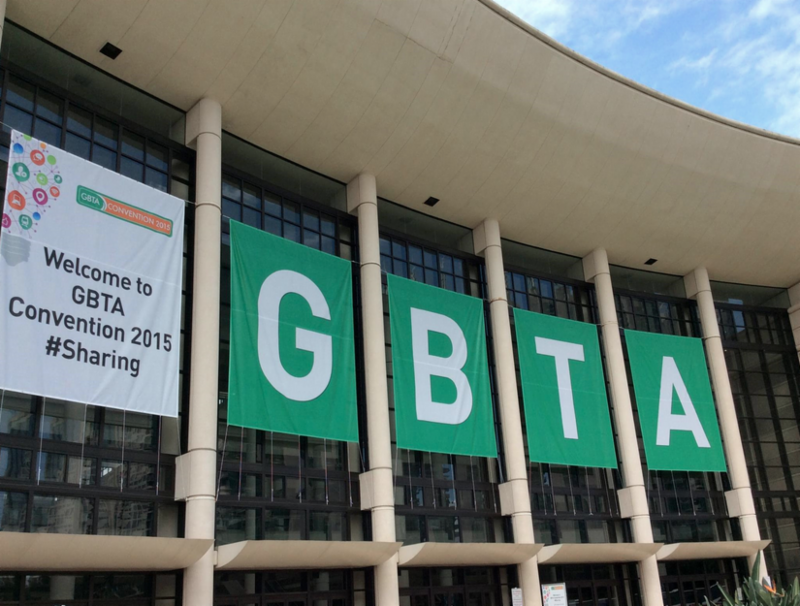 Overall, GBTA Convention 2015 was in many ways an expansion on topics broached in previous years. We expect this trend to continue as more corporate programs address and integrate services such as Uber and Airbnb, virtual payment, and mobile technologies, and meet subsequent challenges and/or achieve success along the way. As new developments continue over the next year, we are sure the lineup at GBTA Convention 2016 in Denver will be an interesting one full of new challenges and opportunities to discuss within the business travel industry.